1. 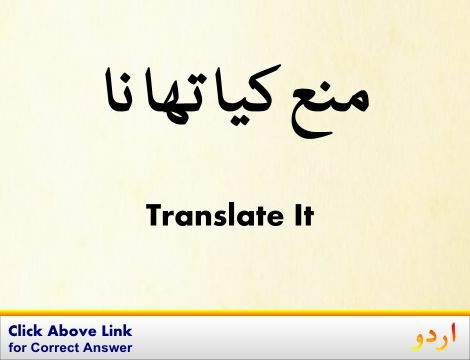 Give Up, Cease, Discontinue, Lay Off, Quit, Stop : چھوڑ دینا - ترک کرنا : (verb) put an end to a state or an activity. 2. Give Up, Forego, Forfeit, Forgo, Throw Overboard, Waive : کھو دینا : (verb) lose (s.th.) or lose the right to (s.th.) by some error, offense, or crime. Abandon - forsake, leave behind. 3. 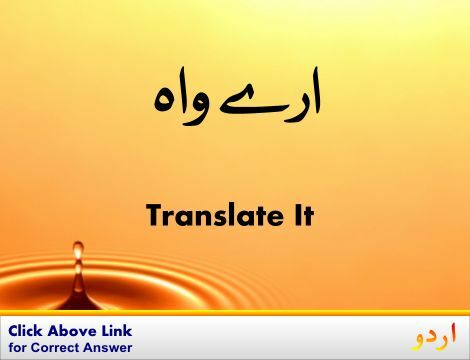 Give Up, Renounce, Resign, Vacate : عہدہ چھوڑ دینا - چھوڑ دینا : (verb) leave (a job, post, or position) voluntarily. Abdicate, Renounce - give up, such as power, as of monarchs and emperors, or duties and obligations. 4. Give Up, Abandon : ہمیشہ کے لۓ دست بردار ہو جانا - سپرد کر دینا : (verb) give up with the intent of never claiming again. Foreswear, Quit, Relinquish, Renounce - turn away from; give up. 5. Give Up, Chuck Up The Sponge, Drop By The Wayside, Drop Out, Fall By The Wayside, Quit, Throw In, Throw In The Towel : دست بردار ہونا : (verb) give up in the face of defeat of lacking hope; admit defeat. 6. 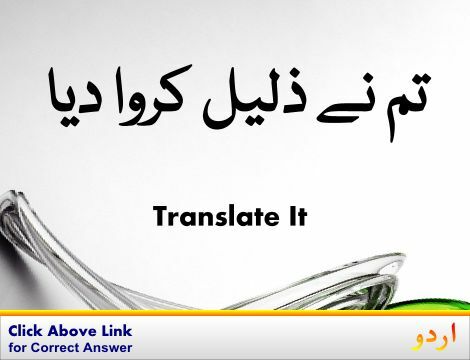 Give Up, Dispense With, Part With, Spare : ترک کر دینا : (verb) give up what is not strictly needed. 7. Give Up, Free, Release, Relinquish, Resign : چھوڑدینا - ترک کرنا : (verb) part with a possession or right. 8. Give Up, Cede, Deliver, Surrender : چھوڑ دینا - قبضہ چھوڑ دینا : (verb) relinquish possession or control over. 9. Give Up, Surrender : ہتھیار ڈال دینا : (verb) give up or agree to forgo to the power or possession of another. Abnegate - surrender (power or a position). 10. Give Up, Abandon : دعوی سے دستبرداری : (verb) stop maintaining or insisting on; of ideas or claims. Break, Cave In, Collapse, Fall In, Founder, Give, Give Way - break down, literally or metaphorically. 11. Give Up, Kick : عادت چھوڑنا - استعمال چھوڑنا : (verb) stop consuming. Dispense With, Forego, Foreswear, Forgo, Relinquish, Waive - do without or cease to hold or adhere to. Get Up or Give Up: How I Almost Gave Up on Teaching. Never Give Up: Jack Ma In His Own Words. Success How Dare You Give Up?. Never Give Up: My Struggle to Become a Doctor. Don`t Give Up: It`s Time to Open Up. Atomic Number 90, Th, Thorium : تہوریم : a soft silvery-white tetravalent radioactive metallic element; isotope 232 is used as a power source in nuclear reactors; occurs in thorite and in monazite sands. Give Voice : اظہار کرنا : put into words or an expression. Give One's Best : اچھے سے اچھا کرنا : perform a task as well as possible. How this page explains Give Up ? It helps you understand the word Give Up with comprehensive detail, no other web page in our knowledge can explain Give Up better than this page. 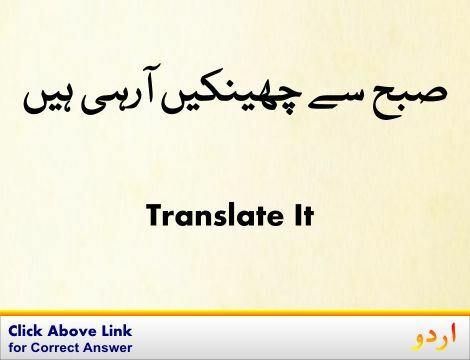 The page not only provides Urdu meaning of Give Up but also gives extensive definition in English language. The definition of Give Up is followed by practically usable example sentences which allow you to construct you own sentences based on it. You can also find multiple synonyms or similar words on the right of Give Up. All of this may seem less if you are unable to learn exact pronunciation of Give Up, so we have embedded mp3 recording of native Englishman, simply click on speaker icon and listen how English speaking people pronounce Give Up. We hope this page has helped you understand Give Up in detail, if you find any mistake on this page, please keep in mind that no human being can be perfect.